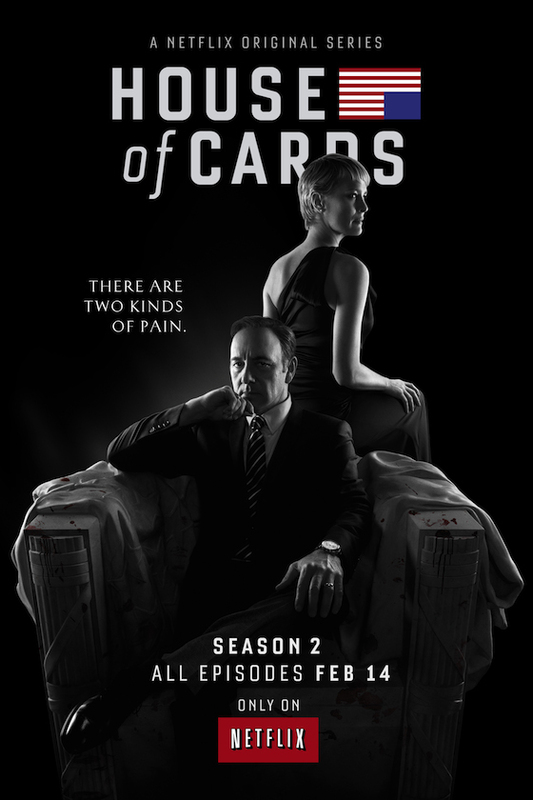 Warning: this is not a spoiler free analysis of House of Cards S2E01. If you haven’t yet seen this episode or HoC’s first season, I refer you to my friend Matt Moore’s adroit, spoiler free takedown. Furthermore – I’m only watching one episode per week as to give myself plenty of time to chew through each narrative piece, rather than rushing to print with a hastily constructed review of the entire season. Between Kevin Spacey’s acting chops and cinematography that blurs the lines between television and cinema, it’s hard to not feel overwhelmed by House of Cards’ outward gravitas. Yet never have I more clearly recalled Princess Irulan’s first line in David Lynch’s 1984 adaptation of Dune, “a beginning is a very delicate time.” This lesson is lost upon House of Cards’ season two premiere. In so much as I was thrilled to see Frank Underwood back in action – wherein the episode actually left me smiling at Zoe’s death – the more I actually thought about the episode, the less it stood up to serious scrutiny. First and foremost, there’s an obvious stupidity in having Frank, the soon to be Vice-President of the United States, push Zoe onto a subway track. Really? He’s personally going to commit a murder in a metro station, one of the most surveilled places in the Western world, while wearing nothing more than a Walter White hat and hipster glasses as a disguise. Come on. Well hold on there, Adam. He’ll have to deal with the consequences of that. Will he? Two scenes later we see a news report dismissing Zoe’s death as accidental. Nor should we forget that as Party Whip, Frank put the DC police in his pocket. I can only imagine the scope of law enforcement influence he will command as VP. Let us then return to the vacuum of finesse surrounding Zoe’s death. TV is rife with examples of powerful people killing those who threaten their station. However, it is one thing to see Tony Soprano strangling an FBI-rat with his bare hands. To witness the anointed VP personally whacking one of his enemies is something else. Don’t get me wrong, Zoe was a problematic character from day one. Her lacklustre career in journalism certainly generated some pathos from the audience, but when she proved as depraved and amoral as Frank Underwood she quickly spent that initial coin. All the while the character alternated a “save me/fear me” vibe, which only made her that much more of an alienating figure. 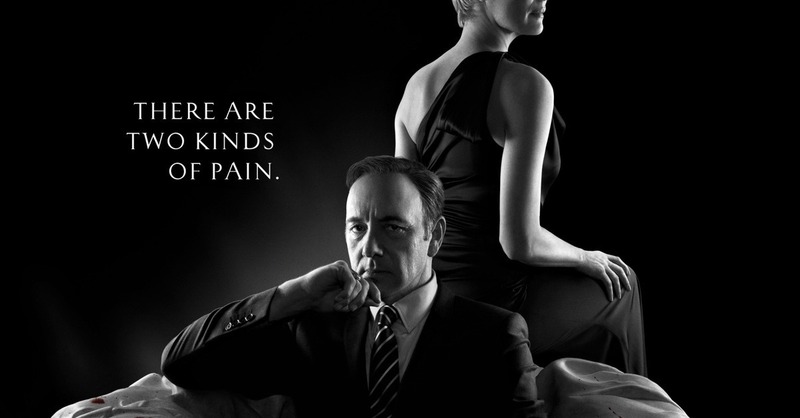 If House of Cards were a Greek tragedy, which it may well prove to be, Zoe’s grisly death is certainly well deserved. She rose too high, too quickly, and was burned for her hubris. Except I’m not an ancient Athenian watching this series, thus I demand more than base appeals to simple notions of justice in my story telling. I demand subtlety and intentional manoeuvring, neither of which is apparent in this episode. The only thing we see therein is three characters acting in the way we would imagine them to act if they were left unguided along an existing trajectory. In other words, fan service. It’s easy for the audience to imagine Frank murdering a reporter because Frank is a terrible person; RIP Peter Russo, you never had a chance. We can also imagine Claire Underwood forging signatures and setting out to commit infanticide by proxy because she’s a miserable human being and a complete narcissist. Furthermore, Stamper is such a perfect union of Wayland Smithers and Patrick Bateman that it’s easy to see him psychologically dominating Rachel into compliance, alternating fear and reward in an almost Pavlovian way – also, wouldn’t it make more sense to kill the prostitute instead of the potentially useful journalist? Given the perilous and marginalized nature of Rachel’s work, shouldn’t it be a lot easier to murder and cover up her death? Nothing we see from the three remaining principles is innovative, unexpected, or sophisticated as a story telling device. Frank/Claire/Stamper’s actions are just tropes meant to engage (or re-engage) the audience on a dull and fundamental level. It also raises a question on where the story goes from here with this motley crew? Having the principle characters be terrible simply because the audience expects them to be terrible is horribly safe writing for a high stakes political drama. In fact, I read it as a cowardly ploy to remove a character that isn’t testing well so there’s more time to revel in Kevin Spacey being evil. Meanwhile, killing Zoe has the benefit of sending a “the stakes have never been higher” message without actually having to do anything. Now the only challenge to Frank will have to come from secondary characters (probably either Janine or Christina) which in turn will require extensive time to develop those characters to a point of significance. Simply put, Caesar needs a new Brutus. In the interim, the show can default to giving the people what they want without really having to do anything new. That, in my estimation, is the definition of fan service, and House of Cards is capable of better than that. Obviously there is plenty of time for things to get better. I won’t judge a whole season on a single episode. I am, however, finding it just a bit harder to rally behind Frank Underwood without questioning my own moral compass, and I fear two or three episodes of him being evil while the writers break in a new foil will further drive Frank toward inaccessibility. What is more frustrating (and without spoilers) is the second episode returns to the feel and tension of the early part of season one. Character maneuver, have conflicts and re-adjust. There is a fabulous Claire and Frank scene that is not “we’re so evil” but a realistic depiction of a scene between husband and wife. It also doesn’t spoon feed the audience but forces you to pay attention and infer. It is almost as if S2E01 was tacked on by the suits to amp up “tension” and then they let things get back to normal. My understanding is that the equivalent Zoe character in the British series is also killed by that series Frank Underwood equivalent. So, whatever criticisms there are, they are actually going with the source material for this one! I found it more interesting than you did, I think. I argue potentially with its placement in proximity to Russo, though. It’s not enough time between escalation. Like, the Russo thing was almost this passive thing. Letting it happen as opposed to physically pushing; but, with killing Zoe it has become an active, totally murderous thing. He’s crossed a line he hadn’t even quite crossed with Russo for me. As for consequences or not, I think it remains to be seen. I think there are going to be wide ripples, the question being whether or not they affect Underwood. Beverly recently posted..Enter Here to Win Free Consulting or Critiques! Yeah, I’ve read that as well. I suppose I’m just going to need a serious monologue to explain why he, personally, had to do it. VP getting his hands dirty no compute.